If you need to remove a coconut tree from your yard, you can use an environmentally-friendly method or a chemical method. The chemical method takes a while and could contaminate the ground around the tree. In some areas, you need a permit and supervision to use chemicals to kill trees. An environmentally-sound method utilizes a traditional chainsaw and boiling water to get the job done and you will likely not require a permit or supervision to complete the task. 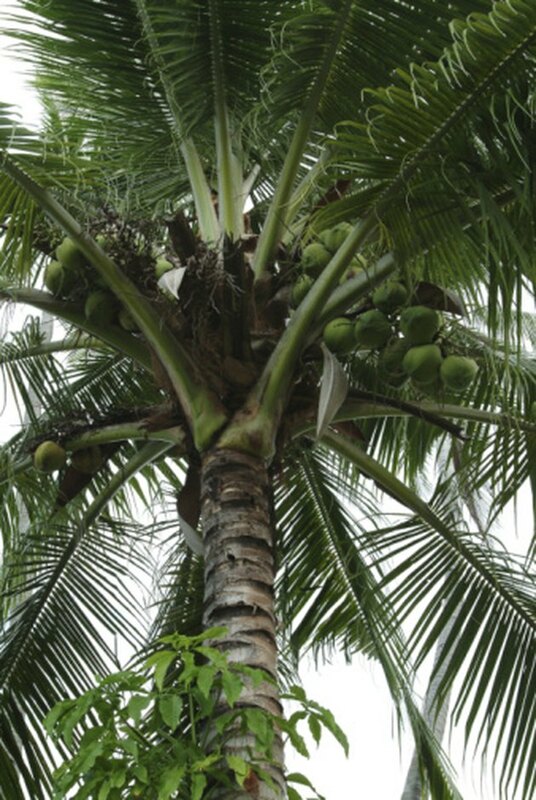 The coconut tree is mostly found in tropical regions. Clear the "fall zone" of anything the tree could damage. The fall zone is the length of the tree in the direction the tree will fall. Coconut trees tend to lean towards the direction of the morning sun. If a building is within the fall zone, clear the area in a different direction as you can force the tree to fall away from the building. Cut ¾ through the tree with a chainsaw on the side of the tree that faces the direction of where you want the tree to fall. When you remove the chainsaw, the tree will collapse on the cut and change the direction that the tree will fall. Cut through the remaining portion of the tree from the opposite side. The tree will now fall. 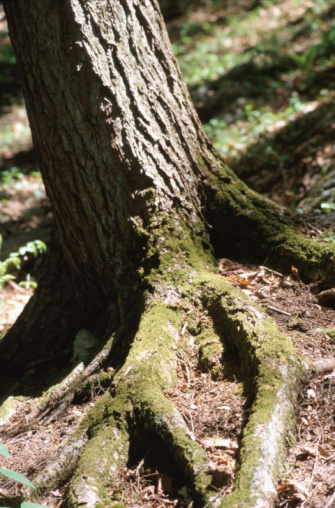 Drill ½-inch holes through the top of the tree stump with a ½-inch drill bit and hand drill. Drill down as far as you can. Pour boiling water into the holes in the trunk daily until you see the trunk starting to rot. This indicates that the tree is fully dead and will no longer attempt to grow.